With part 1 we looked at the fact that infant baptism is not supported by the Word of God. Today, we will learn about the perversions of God’s Word that those who espouse infant baptism use to defend and/or justify their unbiblical practice. Some folks have a very simplistic way of viewing baptism regardless of the mode, practice, and message behind it. However, infant baptism is not a mere ceremony, which after it is performed, is an event that is no longer significant, nor is it an isolated ordinance. Biblical baptism is a result of an inward change upon the lost sinner becoming born again. Because the Lord now dwells within a new convert there is a new character as well. To baptize an infant is to do so regardless of the inward change and therefore though still an infant remains in the spiritual status of a lost sinner. The infant cannot make a public profession of faith in Christ Jesus nor does the infant have any ability whatsoever to repent and trust Christ as Savior. One of the explanations given by those who practice infant baptism is: “For the promise is unto you, and to your children, and to all that are afar off, even as many as the Lord our God shall call” (Acts 2:39). A supportive verse given by those who practice infant baptism is: “For the unbelieving husband is sanctified by the wife, and the unbelieving wife is sanctified by the husband: else were your children unclean; but now are they holy” (1st Cor. 7:14). They believe that there is a sense in which the children of even one believing parent are made holy; and that they are set apart from the world by God. Let’s take an expository look at these two verses. “For the promise is unto you, and to your children…” The Greek translation of “children” in this verse is: τέκνον, ου, τό (teknon) and is defined as: a child, descendent, inhabitant. The use of this term by Peter, is in the sense of posterity. Another perversion of this passage is that the promise related to the blessings pledged in the “covenant with Abraham.” The “promise” as stated by Peter, was the gift of the Holy Ghost to believers. With this perversion they maintain that the “gospel” covenant is a continuance of the covenant of circumcision. 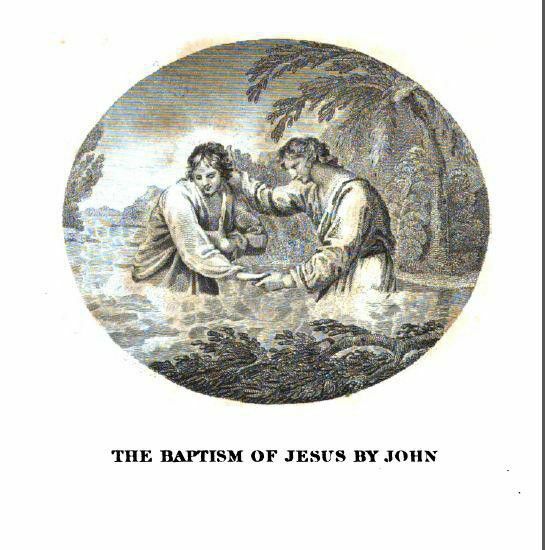 The Presbyterians are widely known for their practice of infant baptism and in accordance with the Westminster Confession of Faith (1647) Chapter 28 titled: ‘Of Baptism,’ para. #4 states: “Not only those that do actually profess faith in and obedience unto Christ, (but also the infants of one or both believing parents are to be baptized”). The Presbyterians also believe that the New Testament texts commanding baptism are always more, and not less, inclusive than circumcision. Regarding baptism Presbyterians believe that there is 1) continuity of the covenant of grace, 2) that there is a parallelism between baptism and circumcision, 3) the setting apart of believers and their children, 4) the expansion, rather than the contraction of that covenant, and 5) Jesus’ willingness to richly bless children brought to him by parents who trusted in him. Furthermore, they believe that those who are children of Abraham by faith, just like those who were once children of Abraham by birth, should give their children the sign and seal of the gospel, and pray that they will come to understand and believe the gospel their parents hold to. Presbyterians also believe that to withhold or neglect the baptism of an infant to be a “great sin,” although they don’t consider it to be so critical in its importance that grace and salvation are inseparably annexed or joined to it. Remember, the term “children” does not biblically refer to infants. Presbyterians strongly hold to the circumcision being a sacramental sign that sealed a righteousness which the patriarch already had, by faith, as an uncircumcised man. The following is from chapter 2 of my book, Captive to the Word of God, a Baptist look at theology and life in the local church. This is the last section on baptism. The Significance. What does baptism mean? This is the reason we cannot compromise on the previous points, demands the most from our attention, and requires a redeemed mind to properly comprehend. The main reason baptism is given in Scripture is to point to the death and resurrection of Jesus. He said of His baptism I have a baptism to be baptized with, and how great is my distress until it is accomplished! (Luke 12:50) By this, Jesus was not referring to John’s baptism of Him in the Jordan, though that is a type and shadow of the spiritual truth of what Jesus speaks of in Luke 12. The Lord’s true baptism was His punishment on the tree for our sins. This baptism is what caused the Lord of glory to be in great distress. Thinking forward to His punishment on the cross, suffering the spiritual punishment due us for our sins; this is what caused the King of kings to sweat drops of blood in the garden. No mortal man can stand where Jesus did, cursed by God for the sins of others. He laid His life down for us, knowing He would pick it back up again. Death could not contain Him, for Jesus, unlike the priests of Moses’ time, had no sin of His own. He saw beyond the cross to His glorification, knowing His Father was faithful and would vindicate His death by raising Him up to a glory surpassing that which He had from eternity past. His resurrection is what gives us the hope to not grow weary in well doing (1 Cor 15:20-28). When we baptize believers, we read from Romans 6:4, We were buried therefore with him by baptism into death, in order that, just as Christ was raised from the dead by the glory of the Father, we too might walk in newness of life. This gives us a picture of what has been done (spiritually) to us, that as the Lord Jesus was put to death and raised up, so were we – spiritually. This is an important truth that we must never forget. But I hope to open our eyes to the greater meaning of this simple ordinance and pray that we see together what a glorious picture has been given to us by our great and gracious Lord. The Lord’s life, death, and resurrection are the keystones of our faith. Much support and insight for what follows was drawn from a small book by Baptist Pastor Hal Brunson, titled The Rickety Bridge and the Broken Mirror, a book of parables about baptism. The sorrows of David, described as “great waters”. Jonah being cast into the sea. Jesus’ understanding of His death. First, the flood as a picture of the death of Christ is portrayed in baptism. The Apostle Peter points to this great flood of the entire earth as a vivid picture of the believer’s baptism as well as a figure or type pointing to the suffering of Christ. In proclaiming (1 Peter 3:18) that Christ also suffered once for sins, the righteous for the unrighteous, that he might bring us to God, being put to death in the flesh but made alive in the spirit, Peter then alludes to the flood and how only eight persons were saved in the ark, brought through the great waters of God’s judgment against sin. And Peter goes on in his first letter (3:21) to tell us that baptism corresponds to this – the flood of Noah, the outpouring of God’s wrath in judgment and the only refuge being in the ark which is Christ. Both the great flood and our baptism are types which point to the death of our Lord and His provision for our safety. In 2 Peter 2:6, the flood is listed with another well-known symbol of God’s wrath against sin: Sodom and Gomorrah. God’s wrath against sin is real, it is certain, it is final. We need a Savior, One Who can bear up under this wrath, One Who has no sin of His own to atone for. Not only did Christ provide refuge for the redeemed from God’s wrath, He was buried in God’s judgment as payment for sin – our sin. He is worthy of our praise. And who is Noah other than a type for all who have found refuge in Christ? What is the ark other than a type of the everlasting covenant of redemption whereby God’s people rise above the waters of judgment? The flood of Noah is God’s judgment against sin. It portrays the suffering of Christ in payment for sin, securing the redemption of those chosen by God the Father. None but those so chosen and called could enter in the ark; God Himself shut the door to secure Noah and his family in and to keep all others out. None but those chosen were shielded from the wrath of God. The flood of Noah shows us how great the price our redemption, how great the Father’s wrath on sin; how helpless we are to secure that safety. Briefly, let us talk about the ark, made of earthy things: wood and pitch. Christ, the second person of the Godhead came to us wrapped in earthy things: flesh and blood. The ark and the cross, both made of wood. Both signs of judgment and redemption. The ark covered with pitch, to waterproof it, just as in the day when baby Moses, like Noah, would ride upon dangerous waters in a vessel covered with pitch. This pitch was flammable and used as fuel, used by Isaiah as a metaphor for God’s judgment: For the LORD has a day of vengeance, a year of recompense for the cause of Zion. And the streams of Edom shall be turned into pitch, and her soil into sulfur; her land shall become burning pitch (Isaiah 34:8-9). The Hebrew term for pitch, kaphar, is usually translated not as pitch but is overwhelmingly interpreted as to atone, to purge, to reconcile, to forgive, to cover, and to propitiate. Can you see the glorious scene of how grand the picture is painted by the baptism of a child of God? Again, from Brunson: “The captain of our salvation may have gone to the depths for the salvation of His people, but the old ship of Zion rides the waves with linen sails unfurled, impervious to raging winds and roaring waves, speeding safely upon the scarlet billows of judgment to the soul’s desired haven.”9 We get a glimpse of what the Lord Jesus meant when He told the disciples that Moses and the prophets had written about Himself, and how glorious is this glimpse! That is but a portion of what the great flood of Noah teaches us about baptism, but we must press on and look at what we are taught by the sorrows of David. This man after God’s own heart knew of his own sin and the despair of trusting in any mortal man for reconciliation with Holy God. David and other Psalmists described their deep sorrows as a kind of burial beneath the billows and waves of the Almighty. In Psalm 42:5 & 7 we read, Why are you cast down, O my soul, and why are you in turmoil within me? In this sorrowful lament with his soul, he describes his afflictions in terms that point to baptism – Deep calls to deep at the roar of your waterfalls; all your breakers and your waves have gone over me. Three images of water: waterfalls, breakers, and waves; all communicate the idea of a cascading waterfall pummeling the poet, with the brutal breakers and waves of an angry ocean violently washing over his head. These terrifying metaphors of his torment and anguish wash over him, drowning him in his sorrows. Carried along by the Spirit of God to write these things, perhaps the Psalmist knew not that he prophesied of the promised Messiah, but his words were given to him by God’s Spirit and anticipate the predestined sufferings and death of Christ as a kind of baptism. The word for deep in the psalm is used as a synonym for sheol, connecting to the death of Christ as a submersion into the deepest waters of the place of the dead. And the water metaphors in this psalm undoubtedly describe the suffering servant of God – As with a deadly wound in my bones, my adversaries taunt me, while they say to me all the day long, “Where is your God?” (Psalm 42:10) This is widely recognized as prophecy of the Lord’s sword-pierced side and the cruel mockery of those who blasphemed while He hung on the cross. Like the pitch on Noah’s ark, God’s judgment here invokes images of fire and water. But as God did not leave David’s soul in torment, neither would He suffer His Holy One to see corruption. Christ was not left buried beneath the sea of God’s wrath and the ocean of His judgment. As David cried out in his distress and called upon the Lord from beneath the deep waters of his sufferings, so also the Savior, as it were, from beneath the burning waters of the cross, Jesus cried out with a loud voice, saying, “Eli, Eli, lema sabachthani?” that is, “My God, my God, why have you forsaken me?” (Matthew 27:46) As deep calls to deep, the Almighty heard the voices of David and David’s seed, and thus He bowed the heavens and came down, riding on a cherub and flying on the wings of the wind; God answered the cry of His Son and sent from above and drew Him out of many waters. The sorrows of David and other psalmists resonate with all who suffer, but they ultimately point us to the One Who suffered what we deserve, to bring many sons and daughters to glory. The love of God for His elect caused the Son of God, David’s promised seed, to submit to the baptism of His Father’s wrath, so we who are called by His name would be reconciled to our Father and not left to our just deserts. Let us now look at what we are taught by the casting of Jonah into the sea. This one is specifically called out by the Lord Himself as a type pointing to His death. Then some of the scribes and Pharisees answered him, saying, “Teacher, we wish to see a sign from you.” But he answered them, “An evil and adulterous generation seeks for a sign, but no sign will be given to it except the sign of the prophet Jonah.” (Matthew 12:38-39) Two symbols of Jonah’s experience point to the death of Christ, and to baptism. The terrifying great fish and the deep waters – both of which swallowed up Jonah, and both of which point to baptism by immersion as the proper sign of Christ’s death, burial, and resurrection. Consider what the prophet said from the belly of the fish: Then Jonah prayed to the LORD his God from the belly of the fish, [quoting the 18th Psalm] saying, “I called out to the LORD, out of my distress, and he answered me; out of the belly of Sheol I cried, and you heard my voice. For you cast me into the deep, into the heart of the seas, and the flood surrounded me; all your waves and your billows passed over me. Then I said, ‘I am driven away from your sight; yet I shall again look upon your holy temple.’ The waters closed in over me to take my life; the deep surrounded me; weeds were wrapped about my head at the roots of the mountains. I went down to the land whose bars closed upon me forever; yet you brought up my life from the pit, O LORD my God.” (Jonah 2:1-6) Like David, Jonah testifies not only to his personal experience; he also prophesies of the death of Christ as a kind of submersion into deep waters. Like Jonah, our Lord was swallowed up by the jaws of death, buried in the heart of the earth, at the bottom of death’s sea. As by the decree of God the great fish could not hold Jonah, it was not possible that death should hold the Son of God. So baptism is not only of immersion but also of emersion – a coming out from the deep waters. Thus Jonah and the Son of God were not only submerged into the belly of the fish and the deep waters of death, they also emerged from leviathan’s jaws and the ocean’s depths. How can the sprinkling of a baby rightly convey this message? When the child of God is baptized by immersion, the testimony is not only the vicarious submersion with Christ into His death, but also our emersion from death by virtue of His resurrection. Finally, we look to what the Lord Jesus understood about His death as an apocalyptic baptism, interpreting Scripture with Scripture. No tradition or imagination of man can bring us the light and truth that God has given us in His Word. In the short gospel penned by Mark, we have this response from the Lord Jesus to the request from James and John to sit on either side of Him in glory. Jesus said to them, “You do not know what you are asking. Are you able to drink the cup that I drink, or to be baptized with the baptism with which I am baptized?” And they said to him, “We are able.” And Jesus said to them, “The cup that I drink you will drink, and with the baptism with which I am baptized, you will be baptized.” (Mark 10:38-39). Other than the ten being indignant at these two, what might they have thought about the cup and the baptism? They would soon learn that this cup the Lord spoke of was not the cup of communion nor a water baptism. Jesus had spoken in terms that left his disciples uncertain, but we know from the record of Scripture that what He was speaking about was the cup of wrath and the baptism of death that awaited Him; of which He lamented: I have a baptism to be baptized with, and how great is my distress until it is accomplished! (Luke 12:50) The disciples would be able to drink of His cup and be baptized with His baptism vicariously through Him. No mortal man can stand where Jesus did: cursed by God for the sins of others and lay His life down knowing He would pick it back up again. When we take communion, we are not drinking His cup, but we drink in remembrance of what He did – to cut the New Covenant in His blood to reconcile sinners to Holy God. When we are baptized, it is not merely following His example when John baptized Him in the Jordan. Paul asks, Do you not know that all of us who have been baptized into Christ Jesus were baptized into his death? (Romans 6:3) And further he tells us, (1 Corinthians 12:13) For in one Spirit we were all baptized into one body—Jews or Greeks, slaves or free—and all were made to drink of one Spirit. We were baptized into Christ’s death, the death He died for us, to break down what separates us from God and one another, to make one people that will bring honor and glory to His name. Oh, the Savior’s love for His Father and all those He chose to redeem in Christ! Baptism: it’s an ordinance which shows how spiritually dead people have been raised to new life in Christ. But, oh my dear brothers and sisters, it is much, much more than that. I pray you have glimpsed a better, if incomplete, picture of the grand and glorious sacrifice of our Lord and Savior as prophesied and portrayed in various ways as a baptism into God the Father’s judgment. The price He paid and the suffering He took as He drank the cup of wrath due us, summed up the submersion and emersion as one is plunged beneath the waters of baptism and raised up from the deep as was our Savior. Let us never see baptism as the mere sprinkling of water over a little one who knows nothing and fears not the wrath of God, nor see it as only the celebration of a new-born brother in Christ. Let us always remember the One Who was baptized in a way you and I could never survive. Christ paid the price we could not pay. He drank the cup and underwent the baptism that we could not. Every time we see this ordinance, let us think on His sacrifice, His obedience, His submission. And let us be thankful we have a faithful God Who did not allow His Holy One to see corruption – that we would have the firm hope of life eternal. We were buried therefore with him by baptism into death, in order that, just as Christ was raised from the dead by the glory of the Father, we too might walk in newness of life (Romans 6:4). 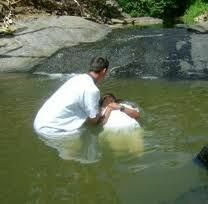 Water baptism is a glorious picture of our Redeemer and a reminder of the spiritual baptism mentioned here, when we were raised up to walk in Christ! Writing a commentary on any book of the Bible is a daunting task. Especially, I think, a New Testament book. We tend to be more familiar with the New Testament and the theological divisions within the realm of Christianity are daunting. And we have much less commentary and interpretation by the Apostles of the New Testament than we have of the Old. And, as with any study of God’s Word, we all bring our presuppositions with us and have to conscientiously focus to seek the true meaning of Scripture rather than merely defend what we’ve been taught by others. 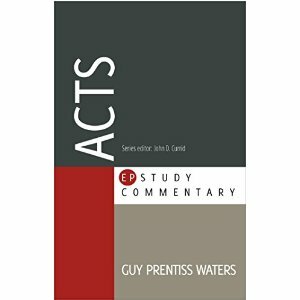 Guy Prentiss Waters has spent untold hours to provide us a study commentary on the book of Acts. Many Baptists claim to be Reformed, but do not hold to the Westminster Confession. And putting any man-authored document as the lens through which to read Scripture is contrary to the very essence of being Reformed, which relies on the never-ending journey of Semper Reformanda, Always Reforming to Scripture for the glory of God. Some Baptists are just as guilty as some of our Presbyterian brothers. That said, I think that Mr. Waters has written a very good commentary, focused on the redemptive story that holds all of Scripture together. This being a 600 page book, it’s not possible to give you a comprehensive review; so I’ve chosen to focus on a couple of passages in Acts chapter 2. “In Acts 2:39, Peter makes an important statement concerning the reach or scope of the promise of which he has been speaking. The promise pertains to three groups of people. First, it is ‘for you’, that is, the Jews – not simply these particular Jews gathered in Jerusalem, but for all Jews within reach of the gospel. Second, it is ‘for your children’. God had specially extended his promises to the offspring of believers under the Old Covenant, and will continue to do so under the New Covenant (Gen 17:7). Third, it is ‘for all who are afar off.’” Waters’ second point is one of the key areas that paedobaptists must not honestly examine, because the actual meaning of this Scripture undermines the foundation of their system. The promise given to Abraham in Gen 17:7 was not one that brought the offspring of Jewish children into the New Covenant. The other side of this covenant given to Abraham, described in Gen 17:9 -14, is what brought Jewish offspring into the Mosaic Covenant community – not the New Covenant. Most importantly, God’s Word tells us the proper interpretation of the promise in Gen 17:7: Galatians 3:16 (ESV) Now the promises were made to Abraham and to his offspring. It does not say, “And to offsprings,” referring to many, but referring to one, “And to your offspring,” who is Christ. The promises were to Abraham and his seed – not seeds; to include Christ and His body in the New Covenant, not unregenerate Jewish or Presbyterian children. No matter how you slice Acts 2, you will not find Abraham’s covenant nor a promise by God to include all the children of a group of people in the New Covenant. As with all things written by man, there is error in this book of which the reader must be wary. But there is much good, as well. Many Baptists and Presbyterians agree vigorously on how sinners are saved – it is a monergistic work of God. This view of soteriology shines brightly throughout this commentary and ought to be an encouragement to many. If you are a fan of the Westminster system of theology, you will enjoy this book more than us Baptists. But we can all learn and benefit from it as it will cause the serious reader to dig into Scripture to see if these things be so. Did the Lord’s Churches Baptize by Immersion Before the 17th Century? Thomas Williamson, 3131 S. Archer Avenue, Chicago, Illinois 60608. The owner of the copyright on this article hereby waives all copyright protections for all English and Spanish articles posted on this site, and gives permission for them to be reprinted or reproduced in any form, in whole or in part, including print media and Internet, as long as the wording is not changed and credit is given for authorship. In most Protestant and denominational Baptist colleges and seminaries today, it is commonly taught in the Church History departments that there were no churches on earth that baptized by immersion prior to the 17th Century. This is just another way of saying that there were no Baptist churches and no true New Testament churches prior to the 17th Century. Supposedly, at some point in the Middle Ages, all true churches vanished from the face of the earth. and the institution of the local church had to be restored later. As BMA Baptists, we have never accepted such teaching. Point 17 of the 1950 BMA Doctrinal Statement affirmed belief in the “Perpetuity of Missionary Baptist Churches from Christ’s day on earth until His second coming.” This means that there have always been true churches on earth, baptizing by immersion, for the last 20 centuries. However, in the last century, some church history scholars have come to the conclusion that the Anabaptists and other evangelical groups prior to the 17th Century baptized exclusively by pouring rather than by immersion, which would mean that those “churches” were not true churches. (Section 10. D. of our Doctrinal Statement requires baptism by immersion). Some scholars have even pointed to the year 1641 as the date when Baptists recovered the apostolic practice of immersion, stating that Baptists and all other evangelical groups baptized only by pouring prior to that date. If these scholars are correct, then our BMA Doctrinal Statement is mistaken, and our traditional belief in the perpetuity of the church is also mistaken. To prove that no one, through the Middle Ages up to 1641, baptized by immersion, would be extremely difficult, requiring a degree of omniscience possessed only by God Himself. But if we can show that there were at least some evangelical groups that were immersing prior to 1641, then we will have successfully defended our conviction that there have always been true churches on earth, and that the gates of hell have not prevailed against the institution of the Lord’s Church. The notion that there was no baptism by immersion before 1641 can be quickly disposed of. In 1614 (27 years earlier), Leonard Busher, a Baptist of London. in a petition to King James I, stated that Christ “commanded” those who “willingly and gladly” received “the word of salvation to be baptized in the water, that is, dipped for dead in the water.” (Armitage, History of the Baptists, p. 440). In 1644. Dr. Featley, an opponent of the Baptists, complained that “They flock in great multitudes to their Jordans, and both sexes enter the river, and are dipt after their manner…. This venomous serpent … is the Anabaptist, who, in these latter times, first showed his shining head, and speckled skin, and thrust out his sting near the place of my residence, for more than 20 years.” (Armitage. p. 441), In other words. Baptists were immersing near Dr. Featley’s home prior to 1624. There is no hint that this was a totally new practice among Baptists, only that they started using a stream near Featley’s home around 1624. In 1656, Henry Denne, a Baptist, defended the practice of immersion by reminding Anglicans that immersion was the ancient practice of their church: “Dipping of infants was not only commanded by the Church of England. but also generally practiced in the Church of England till the year 1606; yea, in some places it was practiced until the year 1641, until the fashion altered…” (Armitage, p. 443). In the Roman Catholic Church, most baptisms were by immersion until the 14th Century: “Thomas Aquinas, the chief of the schoolmen, who flourished about the year 1250, says, in his theology, that while immersion is not essential to the validity of baptism, still, as the old and common usage, it is more commendable and safer than pouring.” (Everts, The Church in the Wilderness, p. 37). The 19th Century German Catholic scholar Doellinger stated that “Baptism by immersion continued to be the prevailing practice of the Church as late as the 14th Century.” (Graves, John’s Baptism, p. 207). Baptism by pouring, while occasionally practiced, was not sanctioned by the Roman Catholic Church until the Council of Ravenna in 1311. “Synods, as late as the synod of Tarragona, 1391, spoke of the submersion of children in baptism.” (Schaff, History of the Christian Church, v. 5, p. 712). “It is equally clear that the form of baptism was immersion. This was at the time, the practice of the whole Christian world. The great Roman Catholic writers affirm that immersion was the proper form of baptism. Peter the Lombard, who died A.D. 1164, declared without qualification for it as the proper act of baptism.” (Christian, History of the Baptists, vol. 1, p. 81). St. Jerome, early 5th Century, taught that “we are thrice dipped in the water” and Pope Leo the Great. in the 5th Century. wrote: “The trine immersion is an imitation of the 3 days’ burial” while Pope Gregory the Great in the following century stated that “The reason why we use 3 immersions at Rome is to signify the mystery of Christ’s 3 days’ burial.” (Cramp, Baptist History, p. 35). Tertullian, in the 3rd Century. described the rite of baptism in detail, showing that it was done by immersion at that time. Martin Luther, 13 centuries later, taught that “baptism, in which the minister dips the child in the water, is a symbol of death and resurrection, and Luther therefore preferred total immersion.” (Latourette, History of Christianity, p. 713). While Catholics, Episcopalians and other Protestants have, for the most part, abandoned the practice of immersion, the Eastern Orthodox Church has always baptized by immersion throughout its history, and still does so today. St. John Chrysostom, Orthodox Bishop of Constantinople, baptized 3,000 new members by immersion on Easter Sunday, 404 AD. Chrysostom taught that “Baptism is an immersion, and then an emersion. When our heads enter the water as a tomb, the old man is buried, and plunging down is wholly concealed all at once.” (Graves. pp. 201. 203). The 18th Century church historian Robert Robinson wrote about Baptists in the 5th Century. “At the beginning of the 5th Century, when infant baptism first came up, there were in Africa at least 400 hundred congregations of Anabaptists, called from Donatus, the name of 2 of their most eminent teachers, Donatists. . . . The Romans baptized by dipping on a profession of faith. The Donatists baptized by dipping on a proof of virtue accompanied with a general profession of Christianity; and as they thought the Romans had ceased to be Christian churches on account of their immorality, they did not hold their baptism valid, and they rebaptized every one that quitted the Roman communion to join theirs.” (Robinson, Ecclesiastical Researches, pp. 7-8). Note that according to Robinson, both the Donatists and the Roman Catholics were immersing at that time. Through the Middle Ages, the Catholics and Orthodox were baptizing by immersion, yet we are expected to believe that there were no Baptists or evangelicals who baptized by immersion during this period! Where is the proof of this? In 1590 the Italian Roman Catholic Cardinal and nephew of the Pope, Robert Bellarminc, wrote: “Ordinarily, baptism is performed by immersion, and that to represent the burial of Christ.” (Graves. p. 207). During the 16th Century, many Catholic, Lutheran and Anglican baptisms, and all Orthodox baptisms, were performed by immersion. It is very hard to believe that no Baptists or evangelicals were baptizing by immersion at that same time. The Waldenses. who spread from their mountain strongholds of France and Italy into most regions of Europe, were Baptists who practiced immersion. “‘The Waldenses were Baptists in that they practiced only immersion. . . .,’ Mezeray says, ‘In the 12th Century they [Waldenses] plunged the candidate in the sacred font..'” (Jarrel, Baptist Perpetuity, pp. 162-163). “The contemporary writers, Eberhard and Ermengard, in their work, ‘contra Waldenses’ written toward the close of the 12th Century, repeatedly refer to immersion as the form of baptism among the Waldenses.” (Christian, pp 81-82). Concerning the 15th Century Bohemian Waldenses, Broadbent says. “One of the first things they (the Czech Brethren) did was to baptize those present, for the baptism of believers by immersion was common to the Waldenses and to most of the brethren in different parts, though it had been interrupted by pressure of persecution.” (Broadbent, The Pilgrim Church, p. 130). “No historian has ever charged the ancient Waldenses with the practice of sprinkling and pouring for baptism. We may consider it a point generally admitted that the ancient Waldenses possessed the Baptist peculiarity of holding the burial in baptism of those who are dead to sin.” (Ray, The Baptist Succession, p.331). Prior to the 17th Century, the Baptist practice of immersion was not brought up against them by their persecutors, because the Catholics and other denominations were also immersing at that time, so the mode of baptism was not a point of controversy. An unbiased look at the historical evidence shows that our BMA confession of faith is correct in teaching Baptist perpetuity. The practice of baptism by immersion is certainly an essential element of Baptist perpetuity. The purpose of citing the practices of other denominations is not to hint that they were the mother churches of the Baptists – they were not. Rather, it is to show how absurd it is to believe that there were no immersionist Baptists prior to the 17th Century, at a time when most other religious societies were baptizing by immersion.